This little guy is trying to figure out how to crawl and gets super frustrated when he can't move where he wants. He'll get there soon. On Wednesday afternoon we went to E's school's science fair (for the older grades). He was interested in a couple of the little robots. After the fair, instead of going home to make supper, we stopped in at a local burger place. We were going to take them home but decided to eat in instead. I just had a regular burger with bacon and cheese but it was so good. The large poutine was also a great idea. 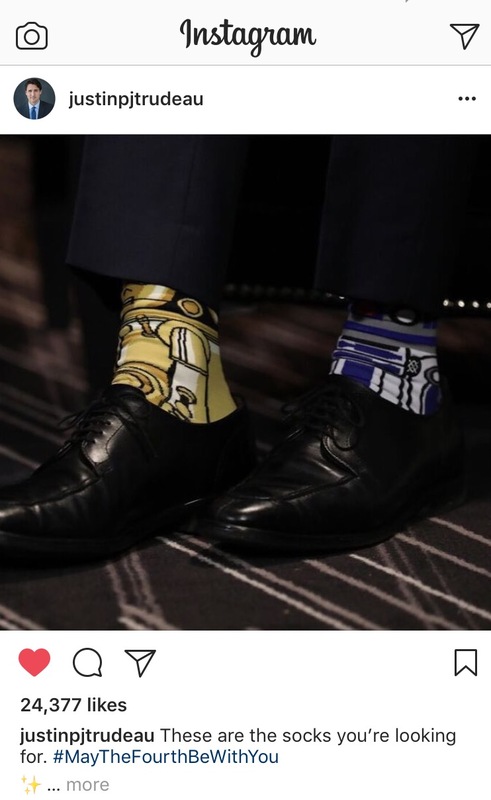 We love Star Wars around here so we appreciated our Prime Minister's sock choice (and Instagram) yesterday when he met with Ireland's Prime Minister. Yesterday I posted about some homemade salad dressings. We will be trying some this weekend. A little shoutout to my favourite soap opera, General Hospital. We were watching 13 Reasons Why and Jessica's dad poked his head in her room and I immediately recognized him as Justus from GH (I see they changed actors a few time, but it was the one I knew). 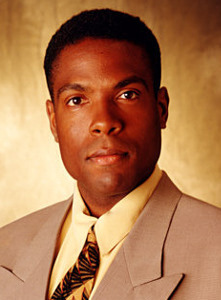 I don't know how but I checked his IMDB page and I was right. I get a lot of value out of reading all of the blogs that I follow; it's intangible value and I can't really explain it. One of the bloggers(and host of this link up), Erika, announced earlier this week and she and her family are adopting a little girl from China and they leave in a few days to go and get her. I don't know Erika personally but this news made me so happy and excited. Congratulations to them! I am looking forward to "meeting" this new member of their family through the blog world. Burgers and poutine!! Yes please-- I'm watching my calories though- ugh! THat is one cute baby!